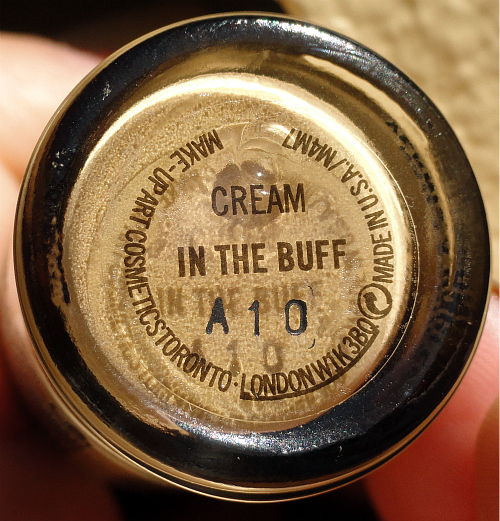 With the upcoming Surf Baby collection from MAC coming up, I was thinking about their last years shore-themed collection, To the Beach and it reminded me that I had gotten the lacquer In the Buff from it and hadn't tried it yet. I was thinking it would look nice on my longer than usual nails (at the time) so I slapped it on. I really really want to love this but it isn't doing it for me like I thought it would. I thought it would be like a 9 on a scale of 1-10 and it's more like a 5. Boo. I still love the color itself but I'm not totally enchanted over it on me. 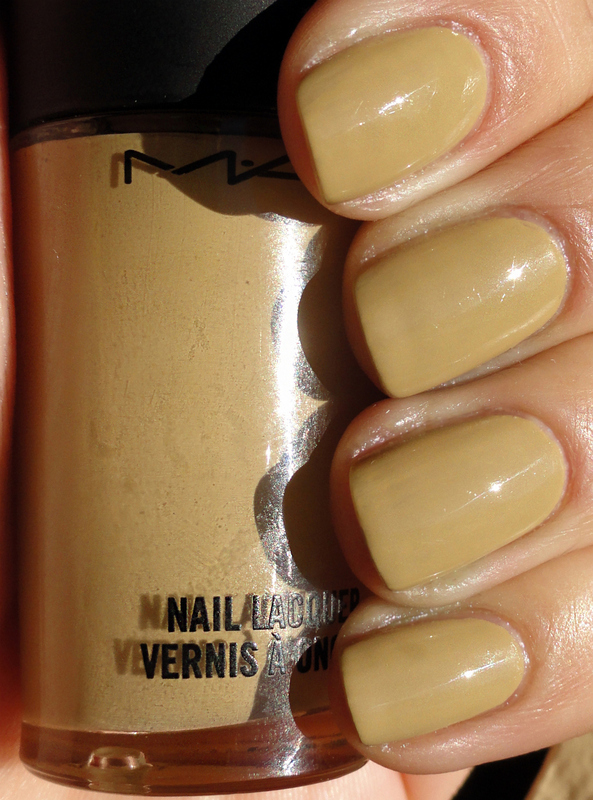 It's a sandy muted tan crème, with an almost green undertone. This is three coats.